This could only happen during a period of crazed Federal Reserve money printing. sell you a membership for $10.00 (or $6.95 at an annual rate) that will allow you to see one movie a day in a movie theatre at no cost beyond the membership. Go that? Here in the Bay Area movie tickets go for about $15.00. If you see one movie a week, that's $60 per month. With MoviePass, it's just that flat $10.00 per month fee. The membership works at all major movie theatre chains. 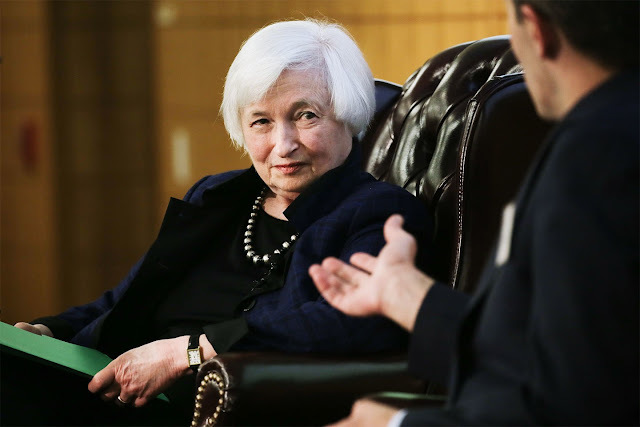 Now, here is where things get Janet Yellen crazy. MoviePass doesn't have any special deals with theatres. It pays full price for every ticket you buy. Let me go over this so it is clear. You pay $10.00 per month, and if you go to the movies once a week at a theatre at a cost of $60, MoviePass absorbs a $50.00 per month loss for your viewing pleasure. I repeat, this could only happen when Yellen is printing some serious green. The company has raised hundreds of millions of dollars to absorb the losses. The thinking at the company is that with every movie-goer that will sign up (and who wouldn't? ), they will develop a powerful database that will allow them to sell advertising to movie production companies. Did you go to Batman movies and buy via moviepass? Well then, they will know that. They will sell advertising to the producers and theatres of previous Batman moviegoers for the next Batman movie. Etc. This idea is either insane or genius. Can they really sell enough advertising and partnership deals to make up for the ticket purchase losses? It's completely unclear. But it is clear that this kind of funding would only occur during the boom phase of a Federal Reserve created-boom-bust business cycle. To all moviegoers: Praise the mad money printing lady! It appears that MoviePass has (temporarily?) removed the $10.00 per month option and is only offering the Annual Plan — pay $89.95 now plus a $6.55 processing fee. This is, of course, more up front but is actually a better deal in the long term at $8.04 per month. To buy monthly is not permitted. You can only buy annually - $90. That must be new. There was a $10 option earlier this week. Here's another take: Movies are the most effective government subsidized educational program ever created. From an elitist POV, why wouldn't you want the plebeians feasting on this propaganda at every turn. Enjoy the pop corn Robert. Even my wife is amused, perplexed, and curious about this post. Even your wife?? I thought nothing got through to her!